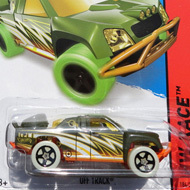 6/250 is part of the HW City series and the 2014 Treasure Hunt set. 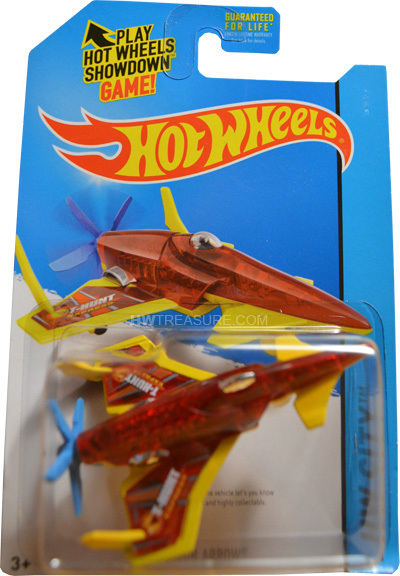 The aircraft has a transparent red body with “T-Hunt Express”, the low production symbol, and the Hot Wheels logo on the wings. It has a chrome cockpit, blue propeller, and a yellow Malaysia base. The Poison Arrow is a unique design that features a rear propeller, clear body, and visible interior. 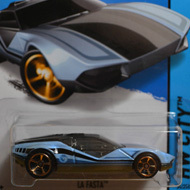 The pusher plane made its debut in the 2005 First Editions series.